You'll find plenty of places to visit near Perth: Fremantle (Fremantle Markets & Fremantle Prison). 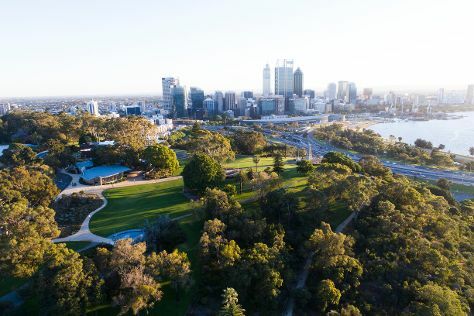 There's still lots to do: take in nature's colorful creations at Kings Park & Botanic Garden, snap pictures at Elizabeth Quay, appreciate the history behind Kings Park War Memorial, and contemplate the waterfront views at Swan River. To find more things to do and more tourist information, read our Perth trip maker site . Melbourne to Perth is an approximately 6.5-hour flight. You can also take a train; or drive. You'll gain 2 hours traveling from Melbourne to Perth due to the time zone difference. Prepare for somewhat warmer weather when traveling from Melbourne in November: high temperatures in Perth hover around 33°C and lows are around 15°C. Wrap up your sightseeing on the 17th (Sat) to allow time to drive to Margaret River. When in Margaret River, make a side trip to see Busselton Jetty in Busselton, approximately 42 minutes away. Spend the 18th (Sun) on a tasty journey with a beer tour and tasting. And it doesn't end there: indulge your taste buds at Food & Drink, explore the fascinating underground world of Lake Cave, and get your game on at Amaze'n Margaret River. For where to stay, more things to do, reviews, and tourist information, refer to the Margaret River trip itinerary site . You can drive from Perth to Margaret River in 3 hours. Other options are to take a bus; or do a combination of train and bus. Wrap up your sightseeing on the 20th (Tue) early enough to travel back home.